An "inverter" converts the sunlight’s energy into energy your home can use. There are two types of inverters: standard inverters and microinverters. 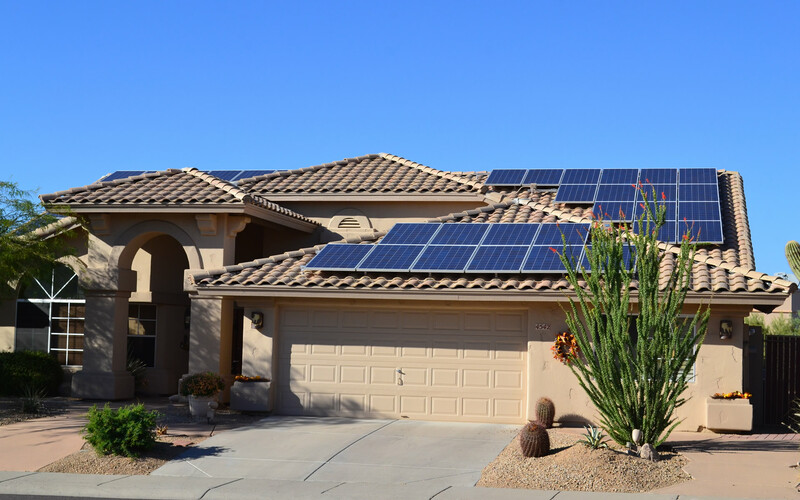 With a standard inverter, a solar company will mount a big box on your wall next to your electrical panel. All the solar panels will send sunlight energy to this box and it will create electricity for your home. The downside to the standard inverter is that ALL the panels are connected to it. That means, if one panel is shaded for part of the day due to a tree, cloud, etc., the WHOLE system will be under-producing electricity. Also, if one panel gives out, the entire system will go out. Like a string of Christmas lights. So what is the solution? With microinverters, every single panel gets its own “mini inverter”. They go underneath the panel, so you do not need the "big box" standard inverter on your house. Each panel is independent of each other. If one panel goes out, it does not affect the rest of the system. You can track the production of each panel and your entire system from any computer or phone with internet access. If, for some reason, any panel goes out, it will send a signal to our company to come out fix the faulty panel. Seamless integration and no worries to you. Many companies don’t even offer the microinverters. At SolarCo, we give you the option to go either way. But the choice is clear. Most people go with the microinverters.